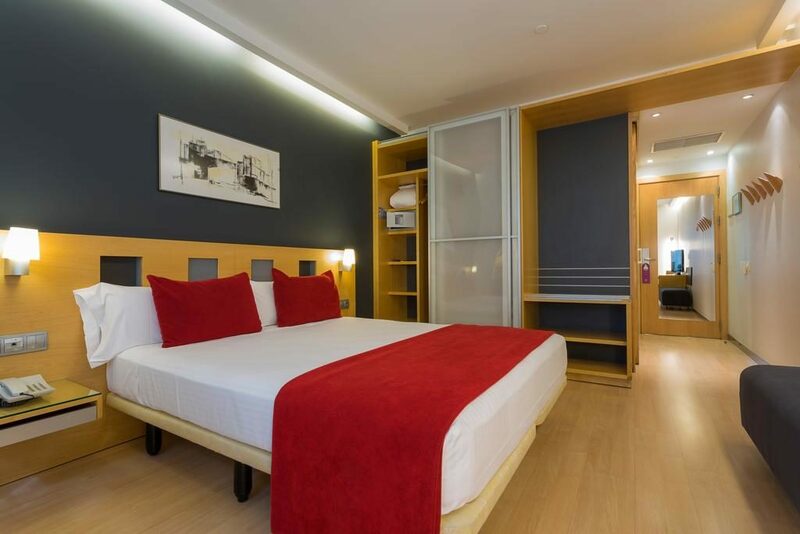 Just a few minutes’ walk and you will discover the city’s historic centre, fall in love with Gaudí’s Sagrada Familia, immerse yourself in the Gothic quarter, and visit the Born and the Olympic Port. 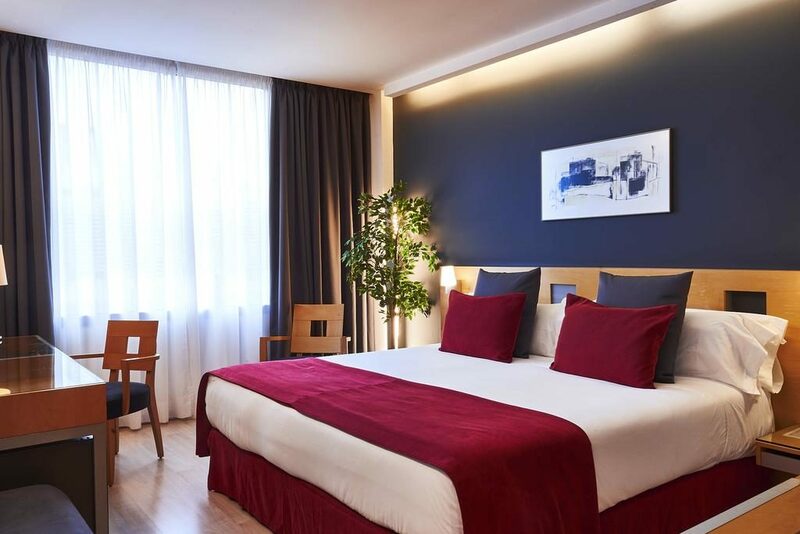 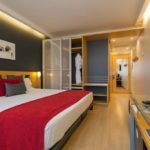 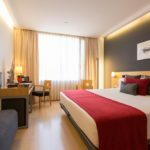 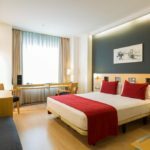 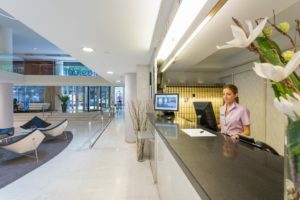 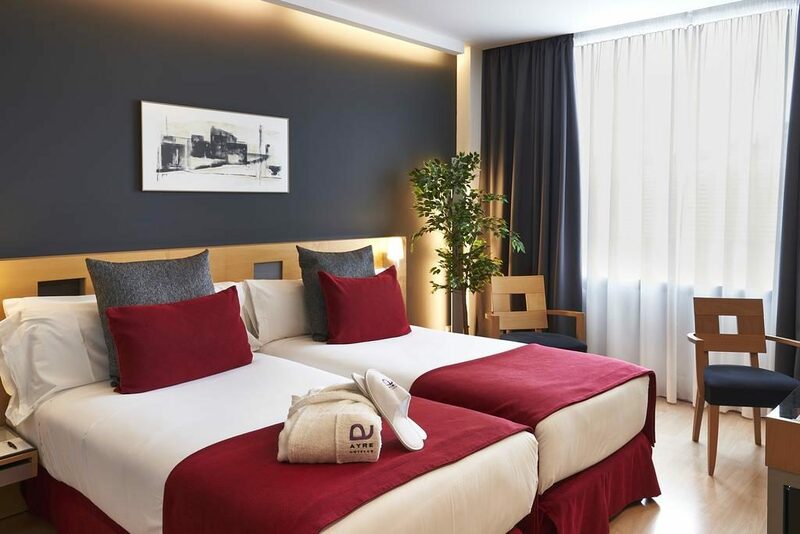 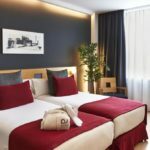 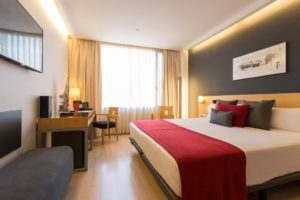 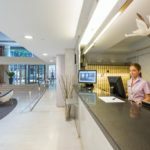 If you are looking for an hotel in Barcelona with spacious rooms, Ayre Hotel Caspe offers you all the peace and comfort you need after an intense day of work or leisure in this cosmopolitan Mediterranean city. Built in 2004, it offers spacious rooms that are characterized by the presence of natural light in a stylishly designed and functional environment. 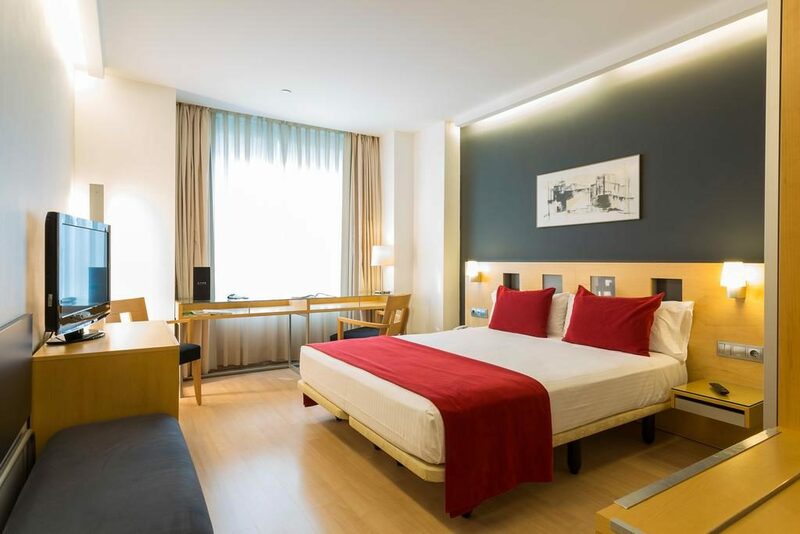 Distributed over 7 floors, the hotel’s 141 rooms are fully equipped and designed to provide maximum rest and comfort. 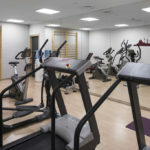 All the rooms are soundproofed and some of them are interconnected. 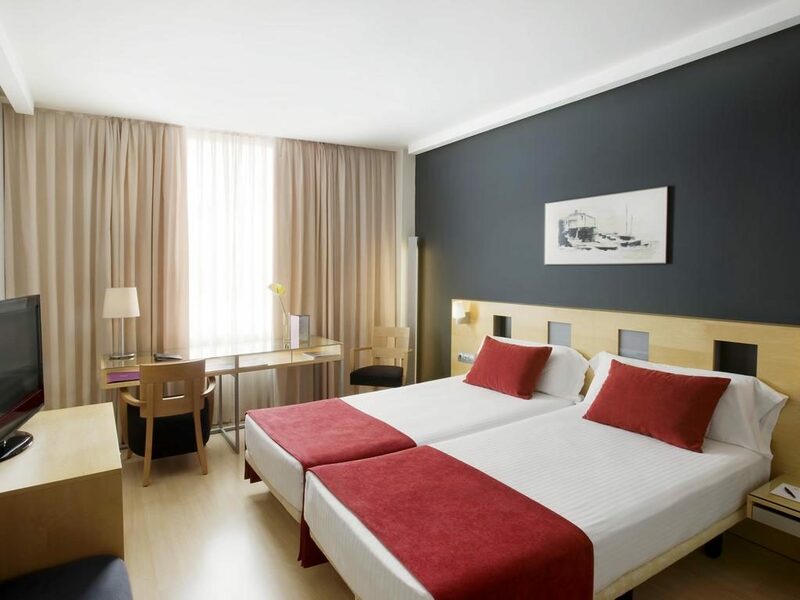 And of course, the hotel offers free WiFi in all its bedrooms and common areas. 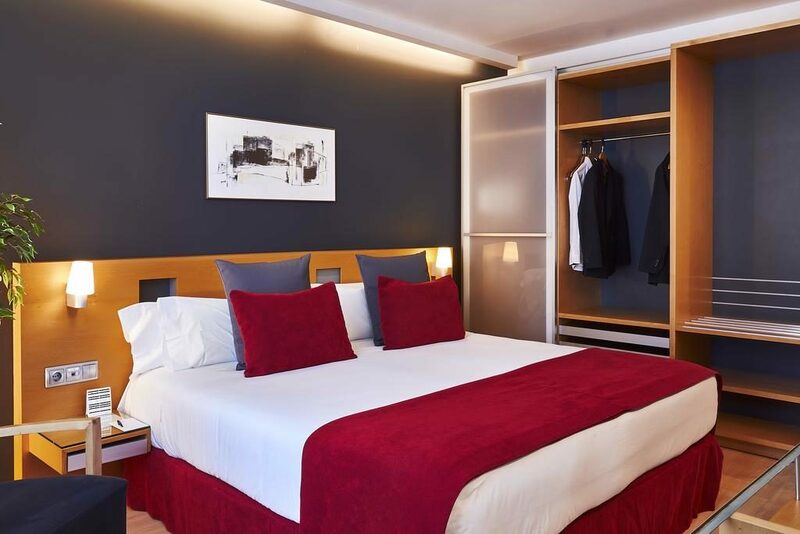 Rooms in Barcelona that are just perfect for R&R. 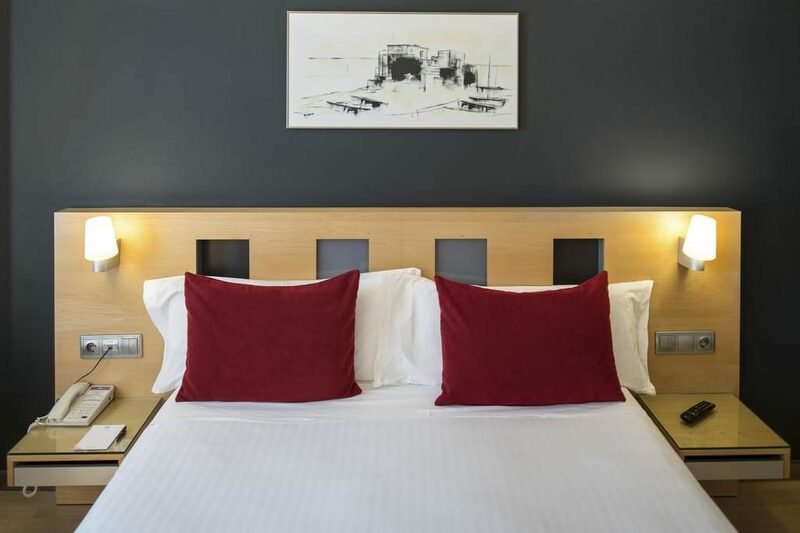 Our soundproofed and fully equipped bedrooms are designed with simplicity but with maximum space to ensure you enjoy maximum comfort. 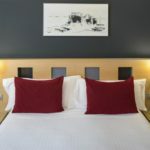 We also offer 5 bedrooms that are fitted out to the last detail, for people with reduced mobility. 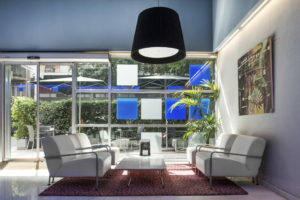 Rooms in Barcelona with a distinctive touch. 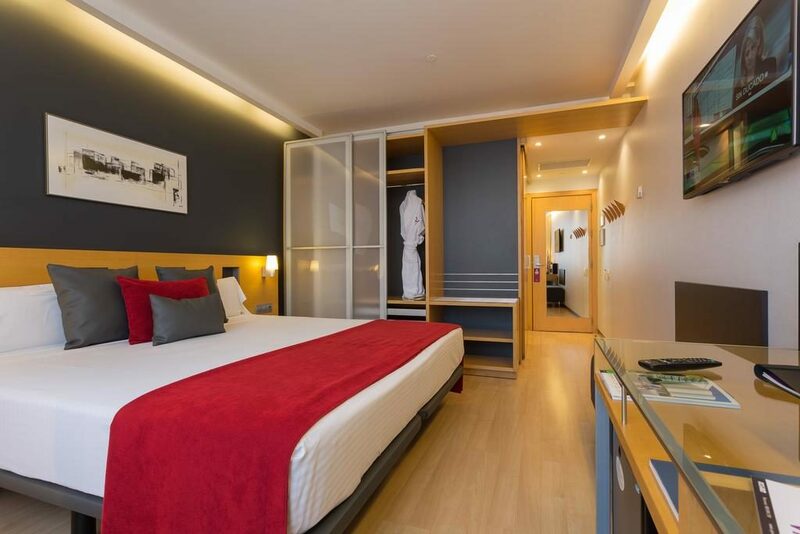 If you want to enjoy a stay that is full of special details, our 13 superior rooms are at your complete disposition. 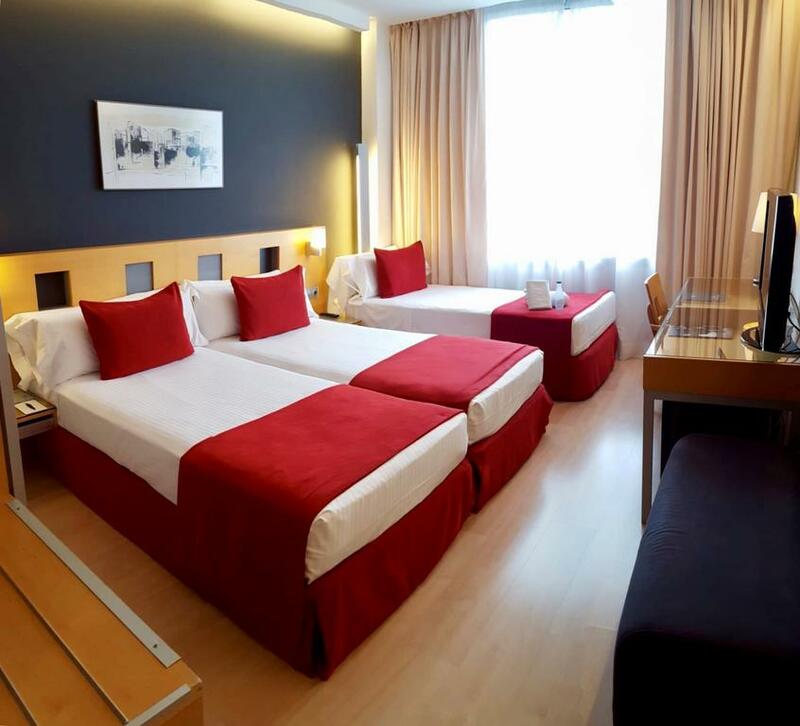 They are all totally soundproofed and equipped with comfortable double beds. 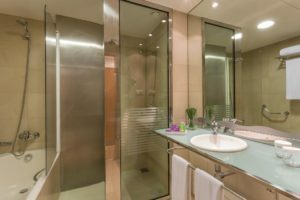 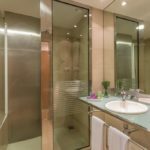 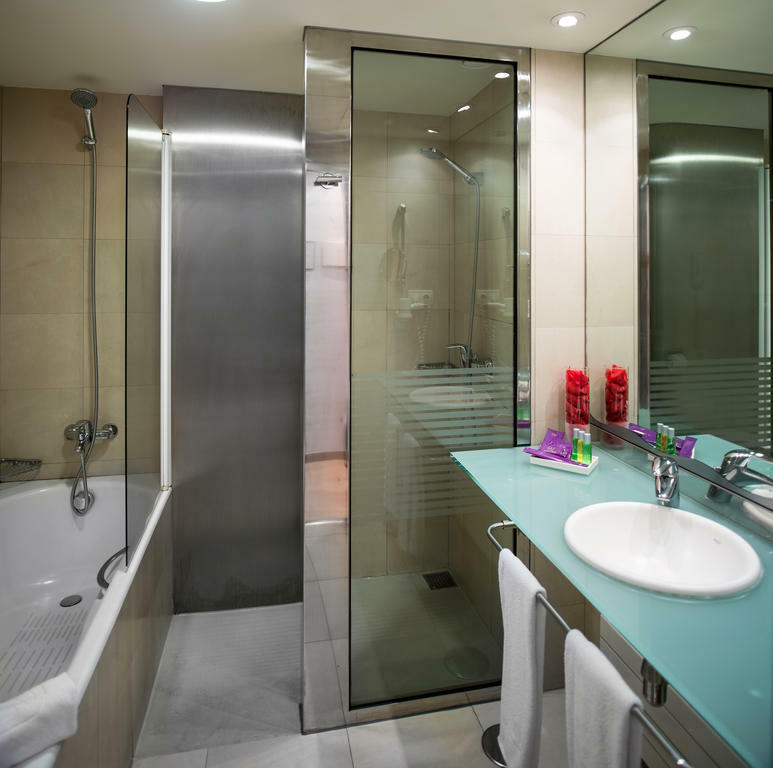 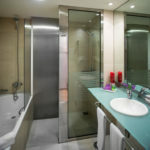 In the bathroom, you will be able to choose between a relaxing bath in the bathtub or a rain effect shower. 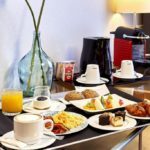 Mini bar with welcome drinks (2 Pepsis, 1 beer, 1 juice, 2 bottles of sparkling mineral water and 2 of water without gas). 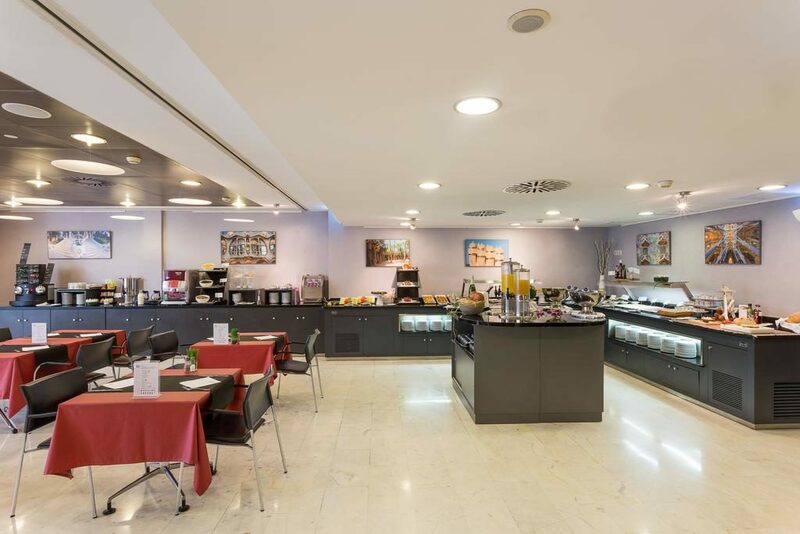 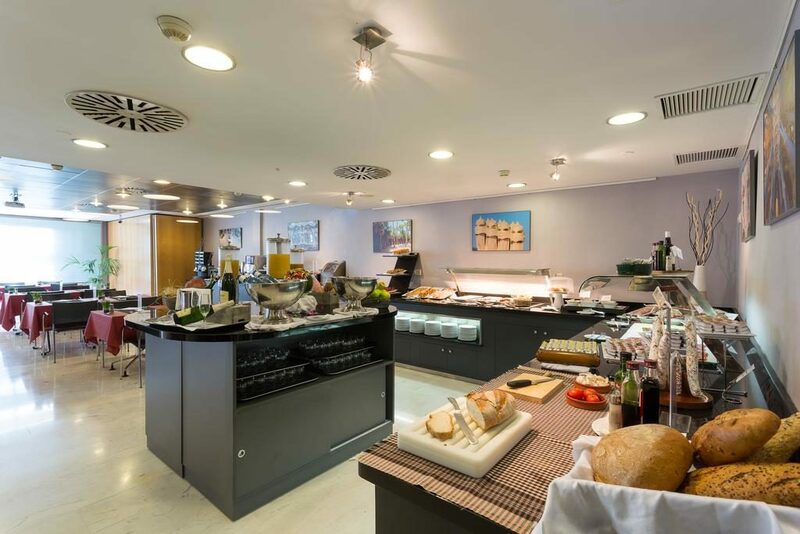 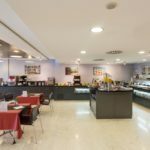 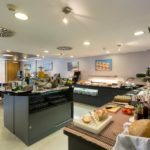 The Ayre Hotel Caspe cafeteria is at the service of hotel guests and the general public. 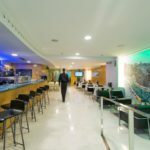 Its street-side terrace is open all year round and whenever the weather allows, it is a perfect venue at any time of day. 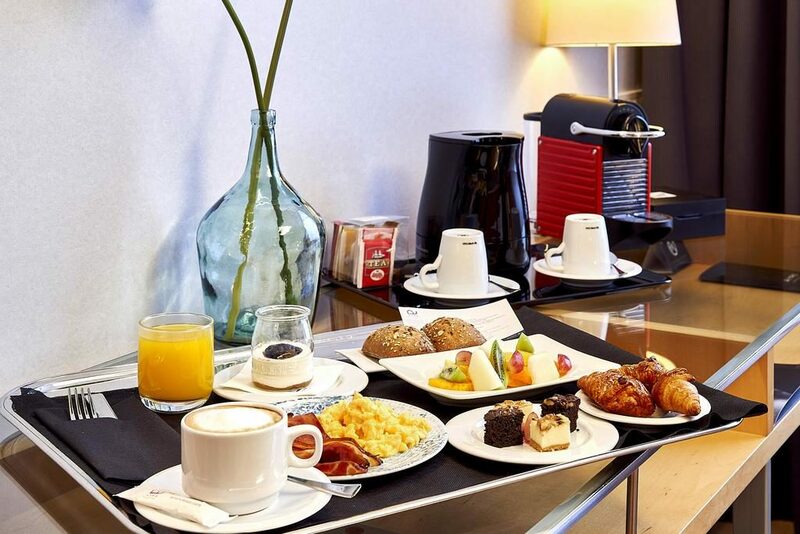 Breakfast, lunch or just an after-dinner coffee always taste better in the open air. 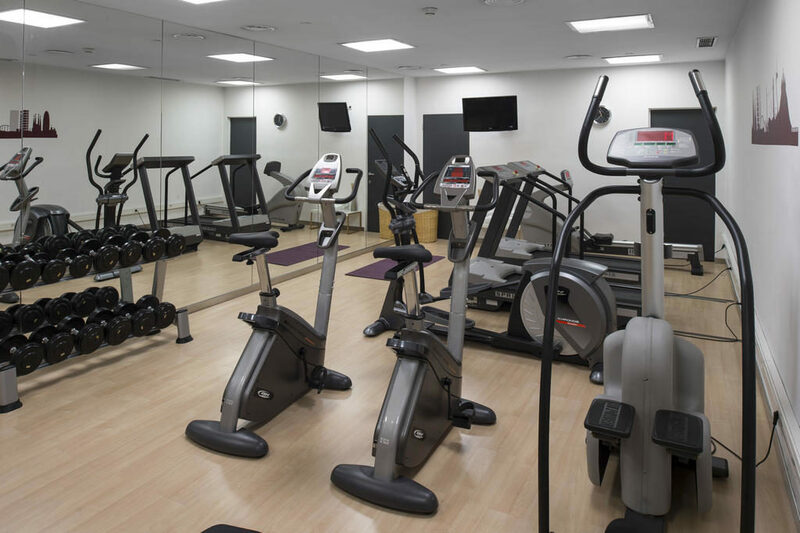 Being away from home is not an excuse for not continuing your keep-fit regime. 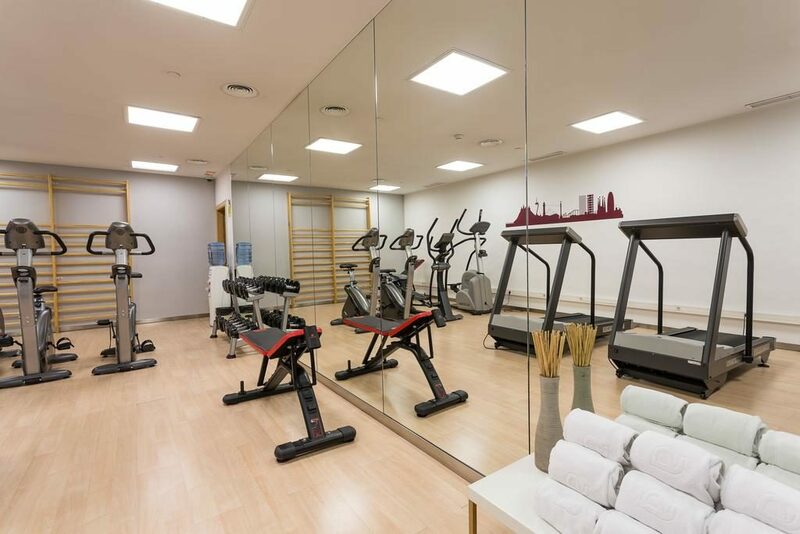 Ayre Hotel Caspe shares the philosophy that daily exercise is needed to enjoy a healthy life. 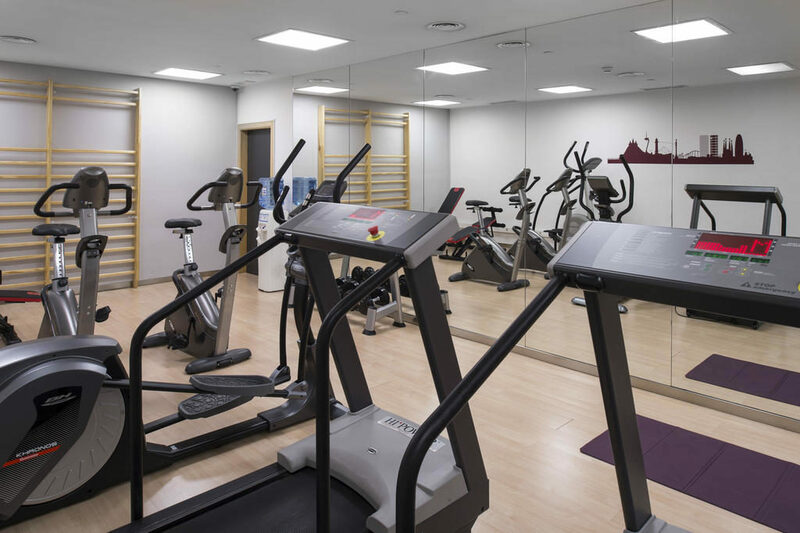 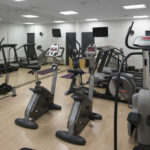 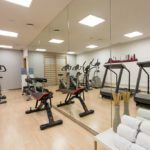 For this reason, a complete fitness room is at your disposal, it is open every day from 7 am to 11 pm, so you don’t have to miss your daily exercise. 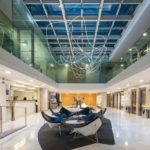 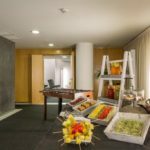 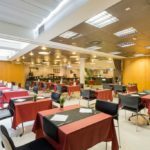 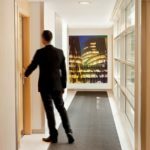 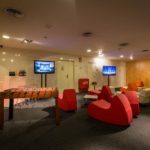 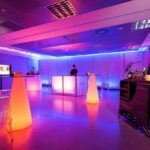 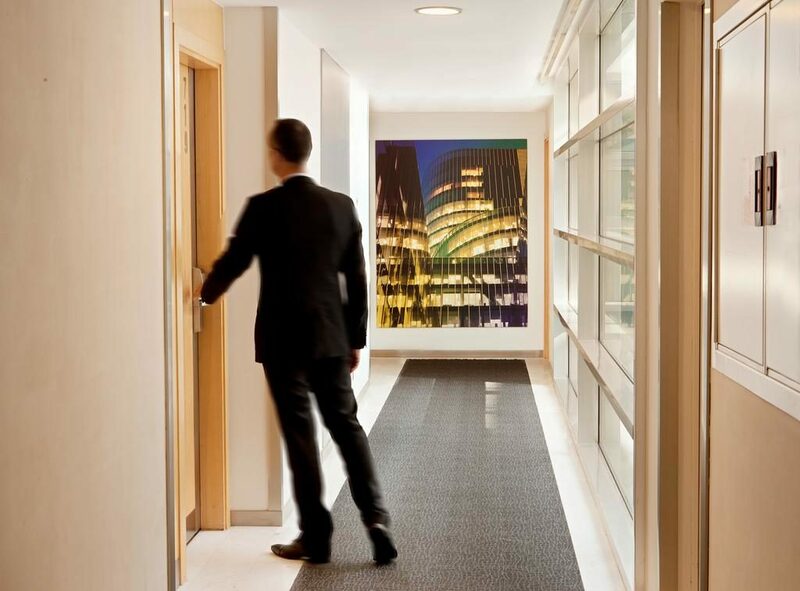 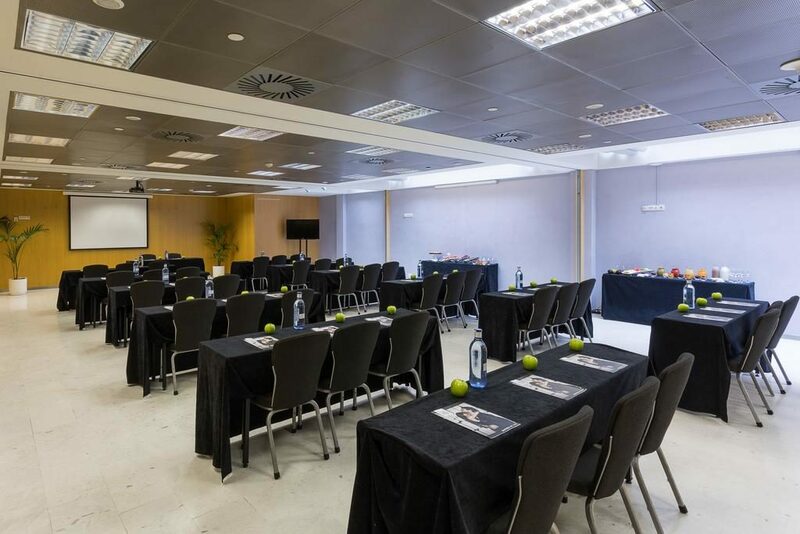 Are you looking for an hotel with rooms for an event in Barcelona? 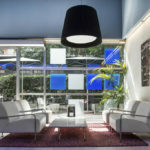 Ayre Hotel Caspe has 6 salons, 4 of which are partitionable and enjoy natural light, able to accommodate up to 200 people. 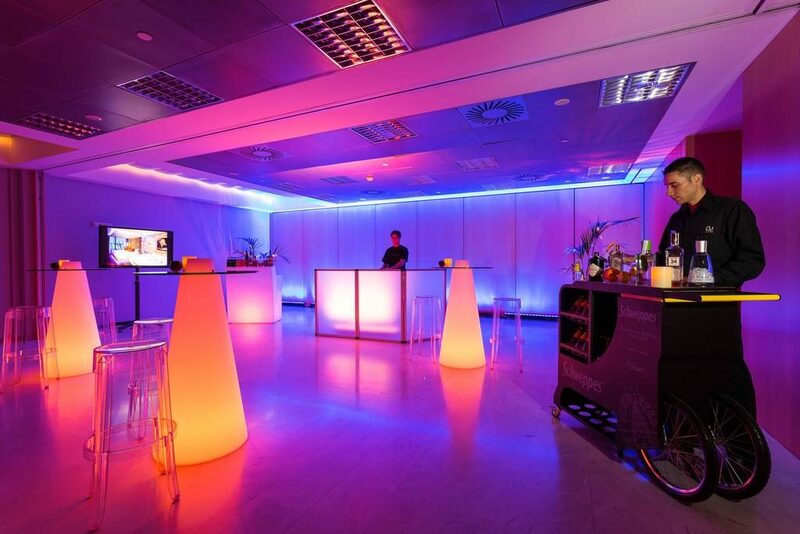 They are ideal for all manner of events, whether of a business or a private nature. 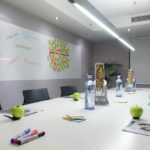 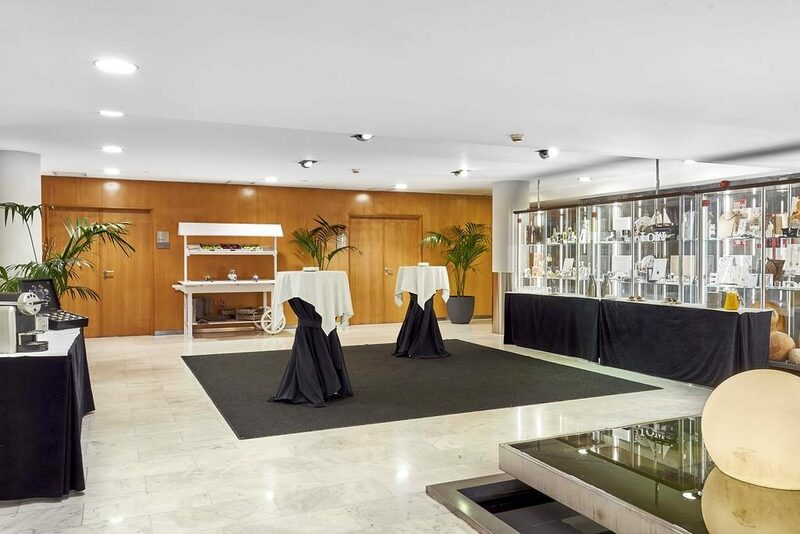 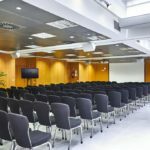 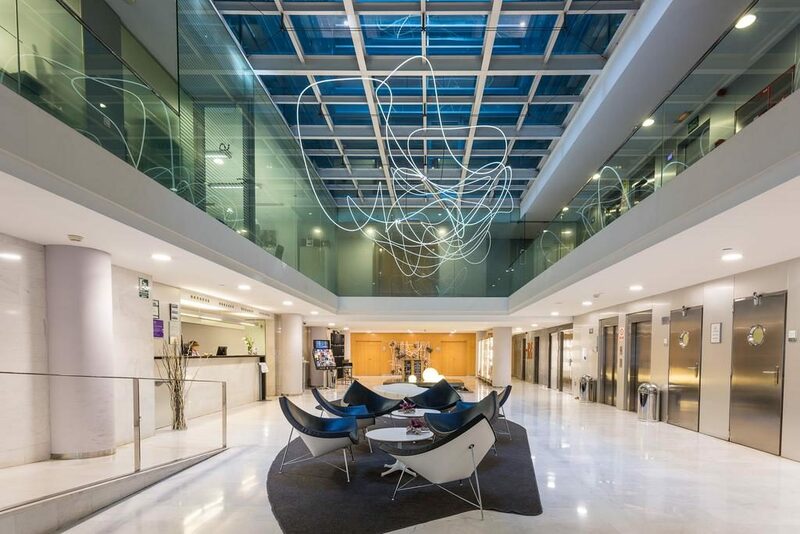 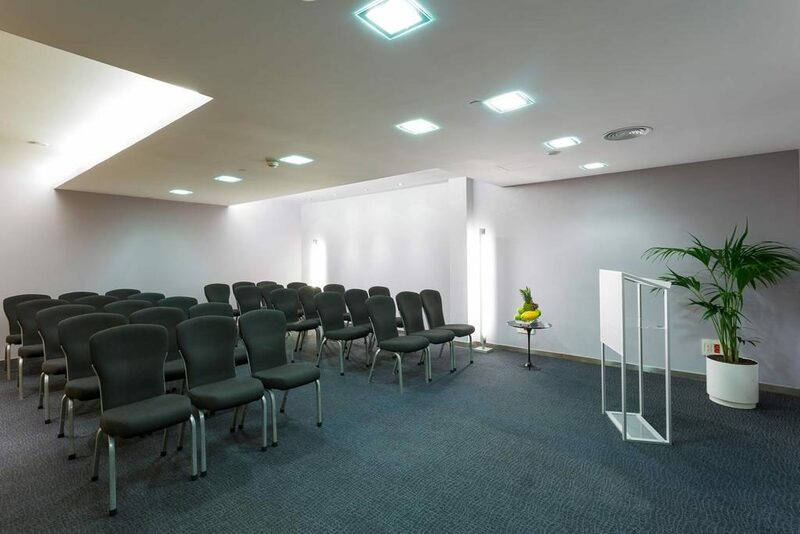 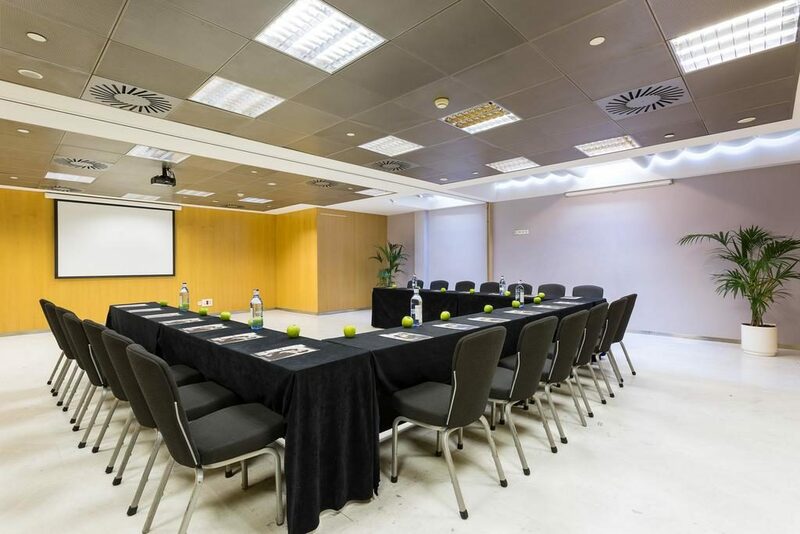 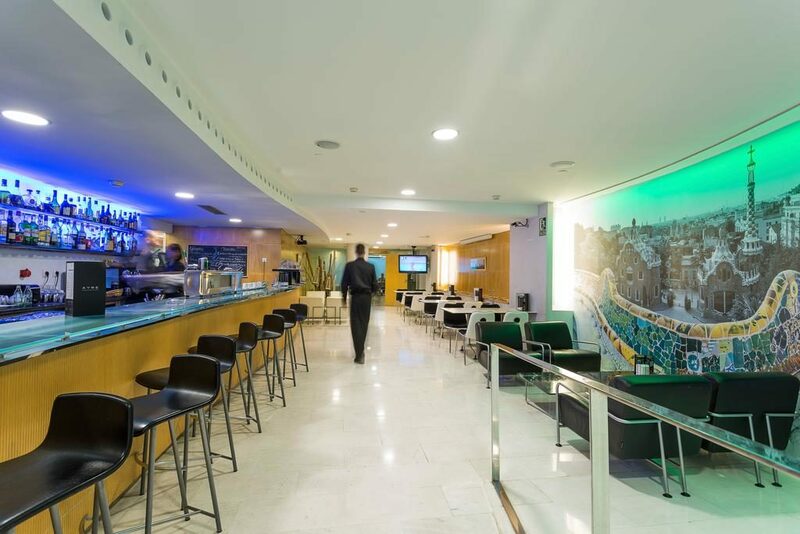 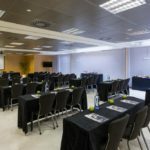 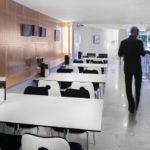 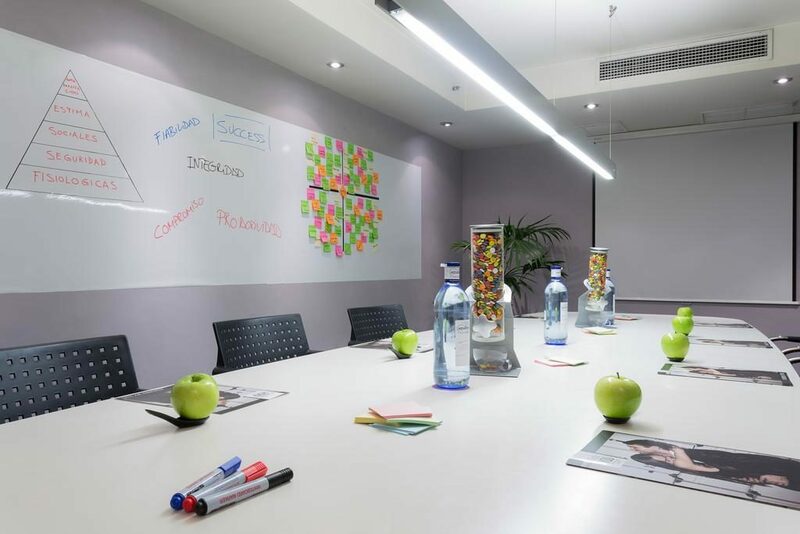 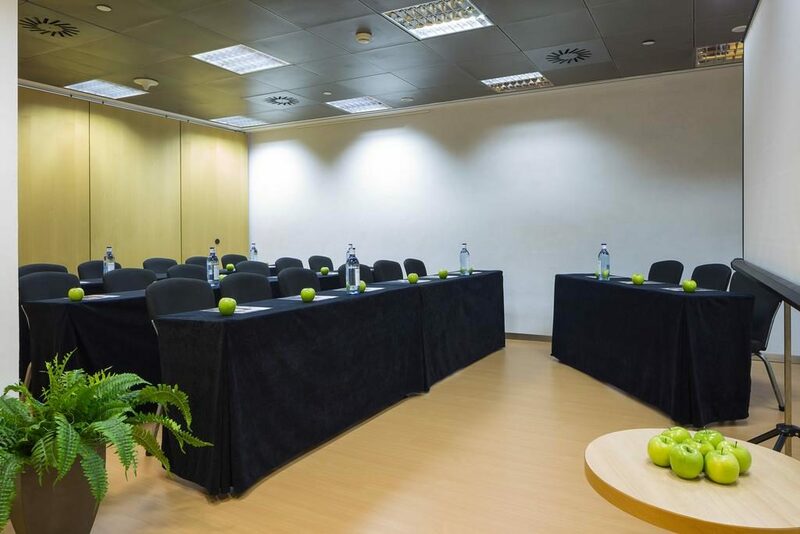 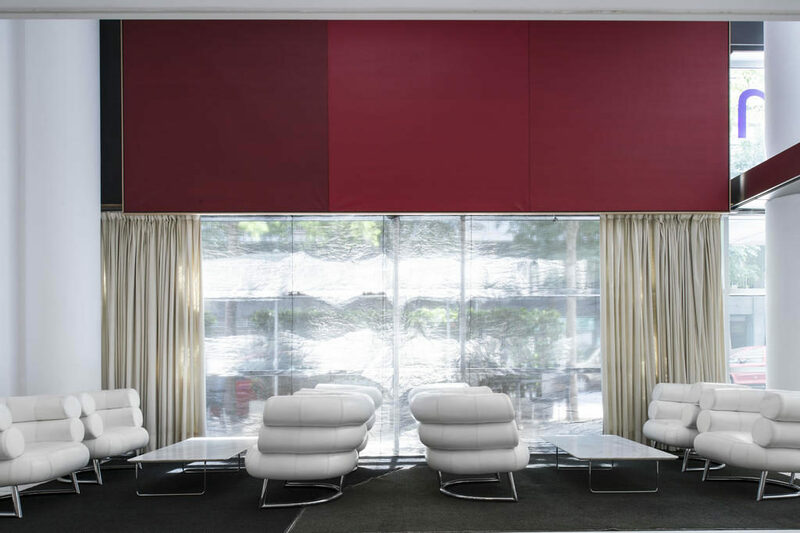 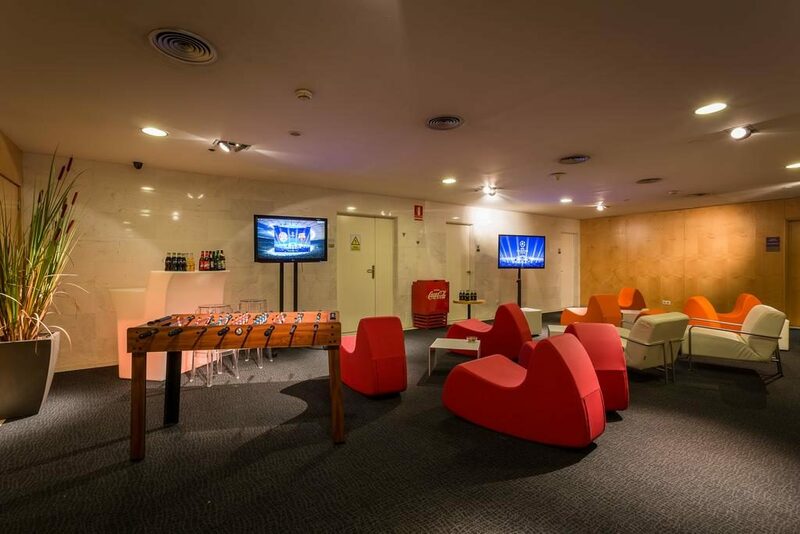 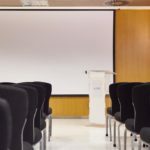 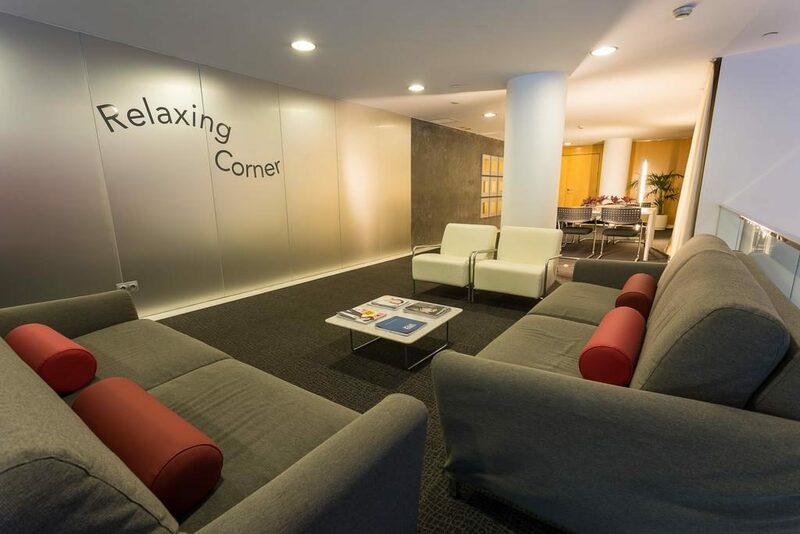 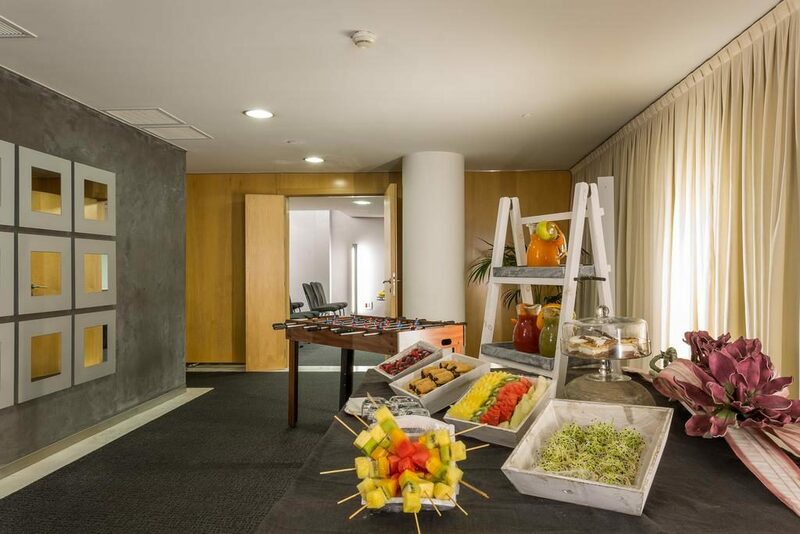 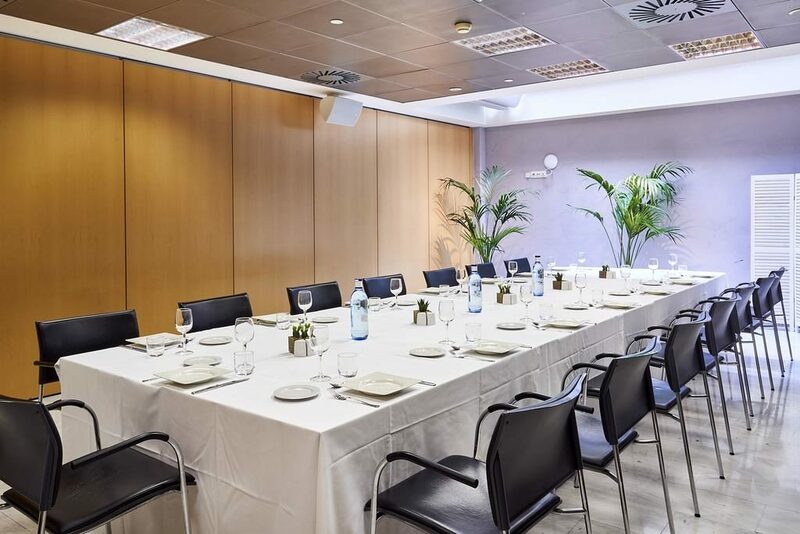 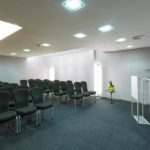 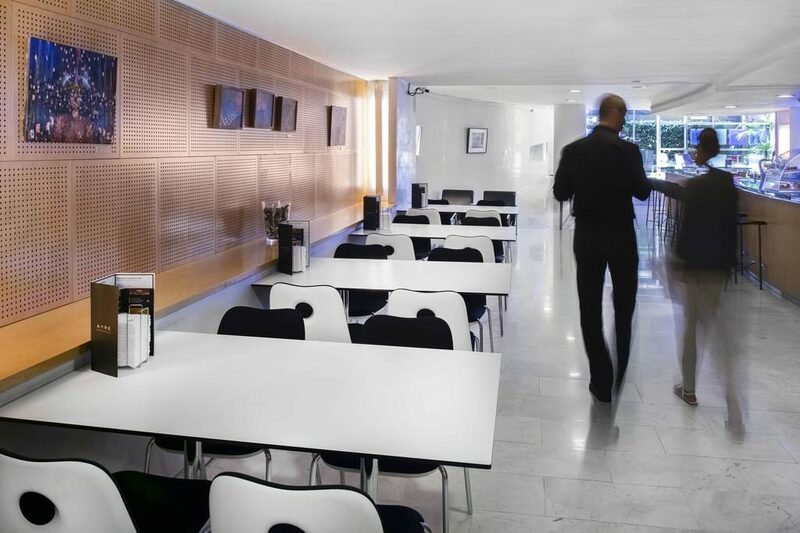 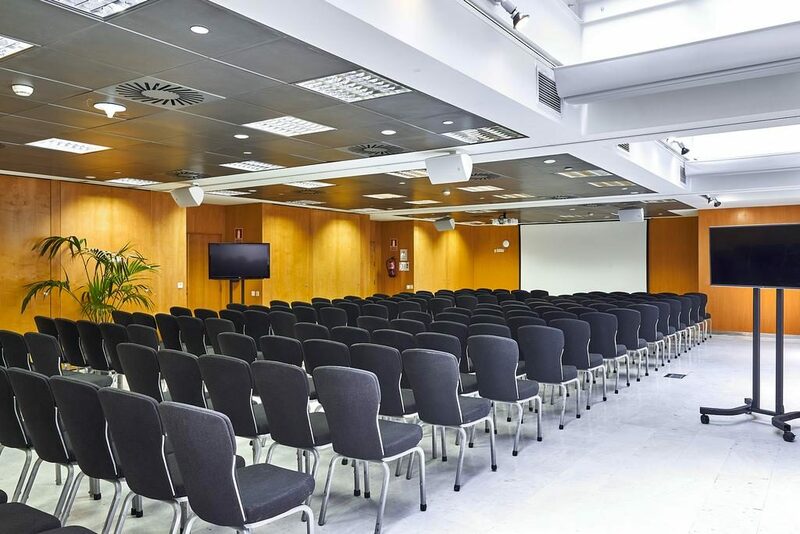 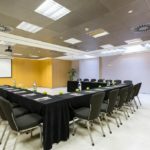 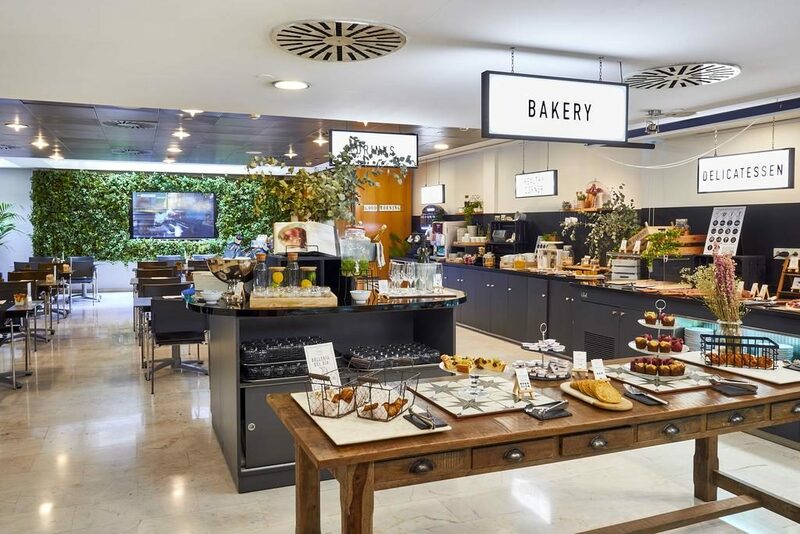 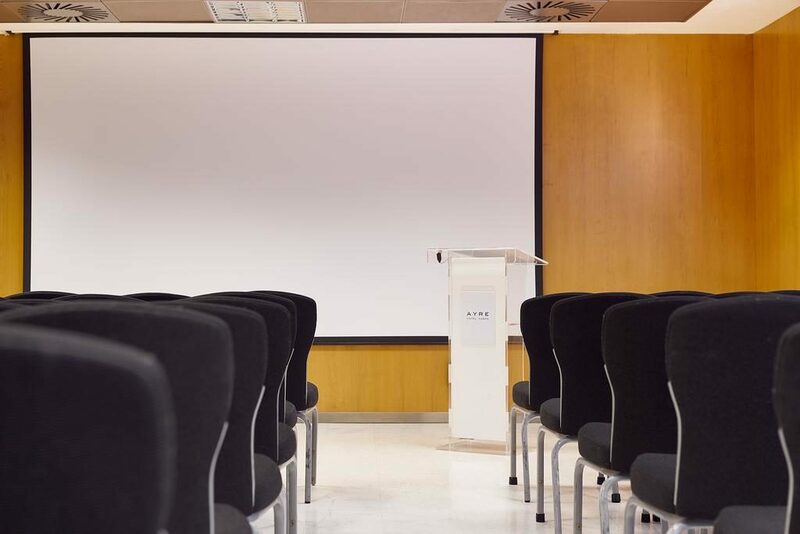 In the very centre of Barcelona, a benchmark city in the business and commercial world, you will be able to organise seminars, meetings, conferences, congresses or private parties thanks to Ayre Hotel Caspe and its 6 meeting rooms, each one of which has a different size and ambience. 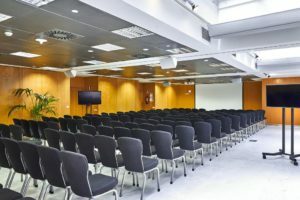 The layout and capacity of each room can be modified, depending on whether you prefer a classroom, theatre, imperial, a “U” table layout, or as a banquet, a cocktail or a cabaret. 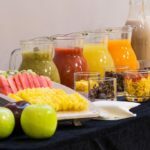 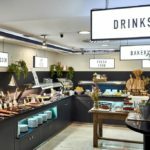 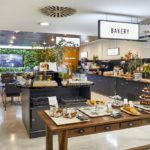 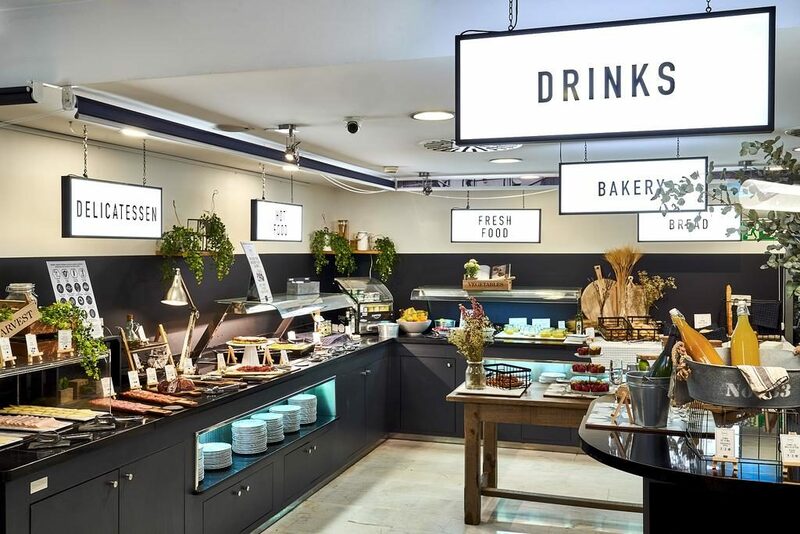 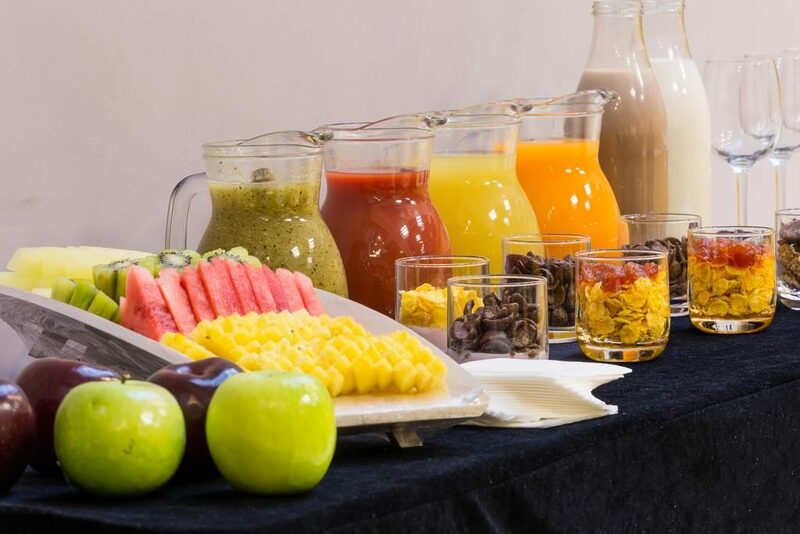 Our Food & Beverage team has developed a wide range of catering possibilities, with coffee breaks, menus, cocktails… all of which can be adapted to your requirements. 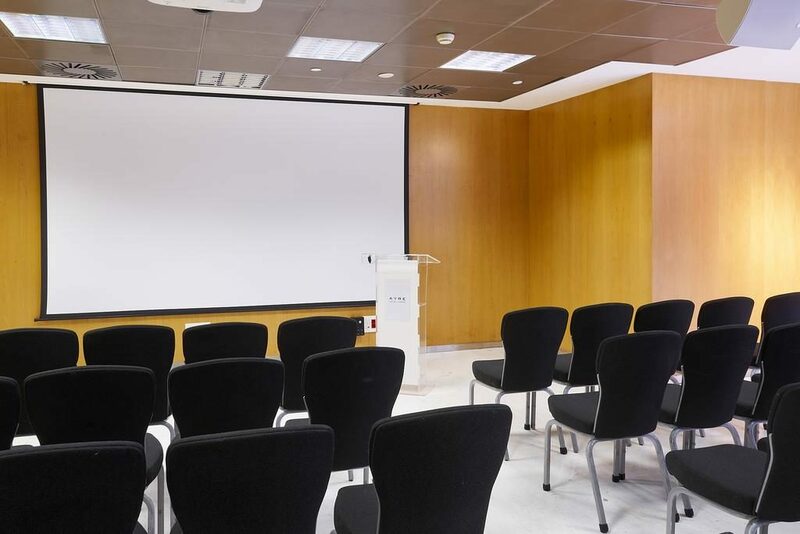 Because when you’re in a meeting, not everything has to be work. 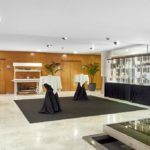 Hold your event in Ayre Hotel Caspe, no matter if you are celebrating a wedding, a baptism, your child’s communion, a special anniversary or a birthday party for the smallest member of the family. 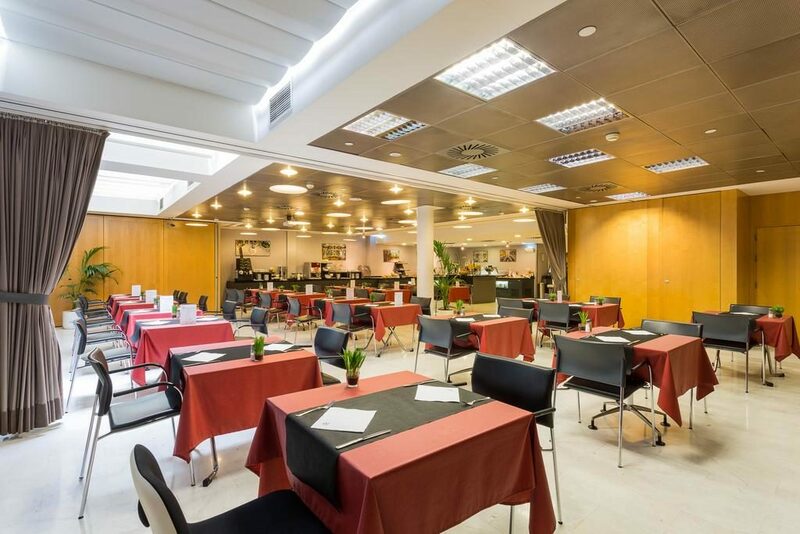 Discover our fully equipped halls, our fantastic range of gastronomy including a wide range of Mediterranean cuisine, and the layout of each room just as you wish so that it is perfect for your event.